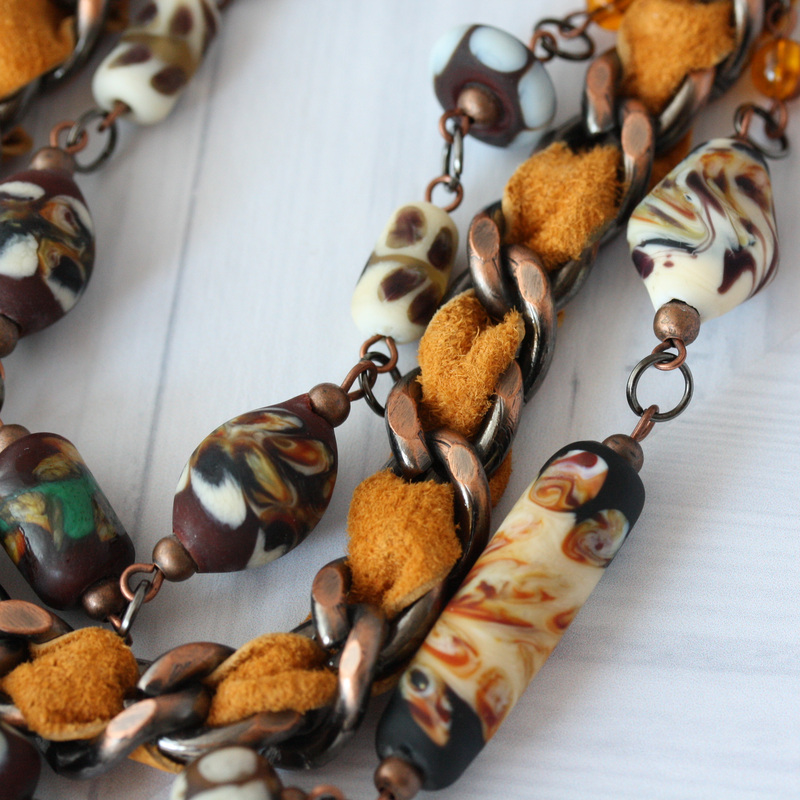 Three rows of rich style and shape are on the horizon for this 18″ artisan necklace. Golden suede laces through chunky gunmetal and copper links while adjacent rows of complementary matte glass frame the wearer in warm tones of goldenrod, sable, dusk and bone. The hand lampwork glass beads are linked with copper and touches of amber, all secured with a magnetic closure at back.